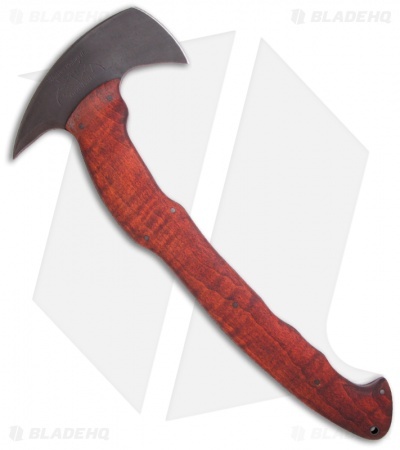 The RnD Hawk is a collaboration between edged weapons expert Rafael Kayanan and Daniel Winkler. The R&D Hawk is made with edge awareness, economy of motion and mobility in mind. Designed so that the heaviest area rests at the head, the hawk's full tang is milled to a taper reducing overall weight to an approximate 1 1/2 lbs. The handle features an upward curved end to reinforce grip. The handle is 13 inches long. 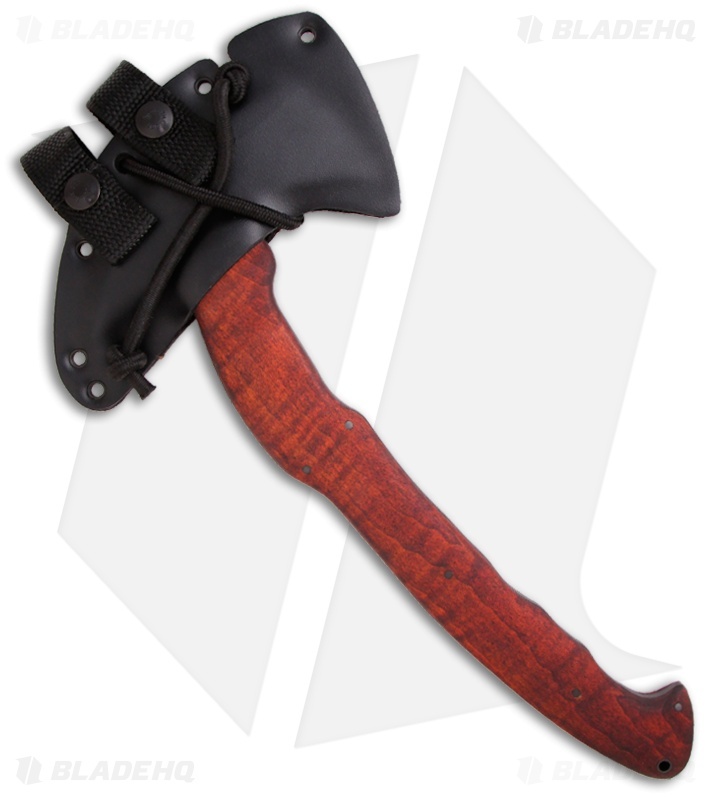 This R&D Hawk has a Maple handle. Includes felt lined Kydex carrier with rubber belt hanger and bungee retainer. Daniel Winkler has been making knives full time since 1988 and has more recently started the Winkler Knives II product line after working with the Special Forces Teams in the United States Military and Allied Forces from around the world. The knives and axes in the WKII Collection are all custom made in his shop. The WKII product line are created through the stock removal process instead of being hand forged. The Winker Knives II line utilizes the same standards of excellence in craftsmanship as his hand forged work and they are born of Warriors' experience. Information from Winkler Knives.